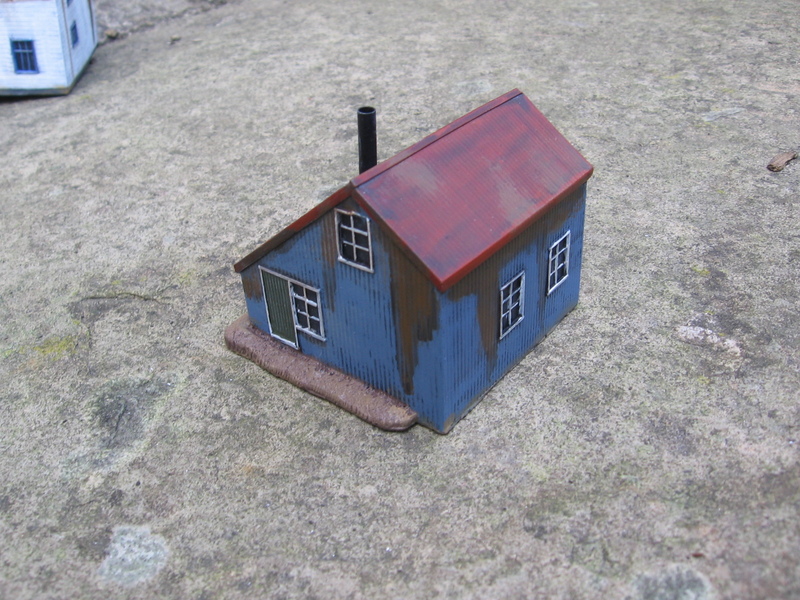 Been chipping away in the shed as usual- I’m not documenting all that I’ve done (though if you want to see my WW2 Polish that I’ve been working on please shout out) I have been getting some scenery finished. 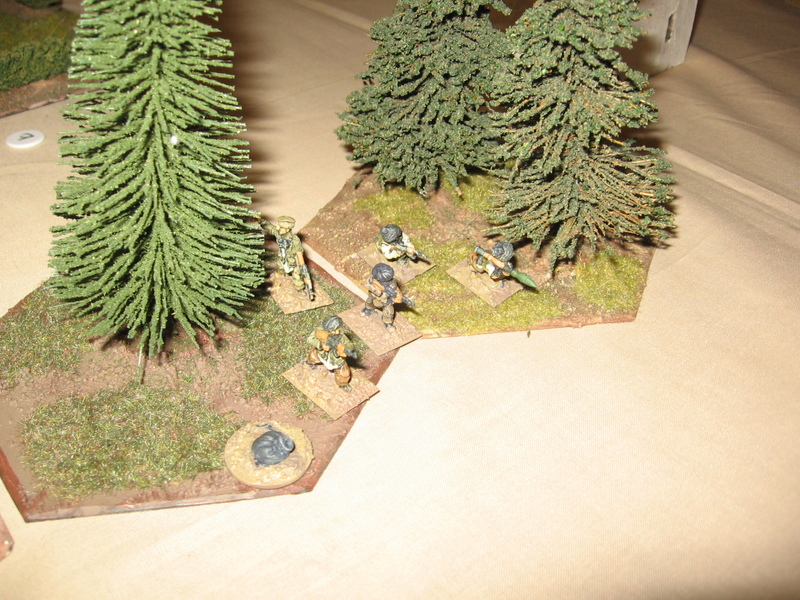 I’m a big believer in having plenty of terrain, both in your collection and on your table. 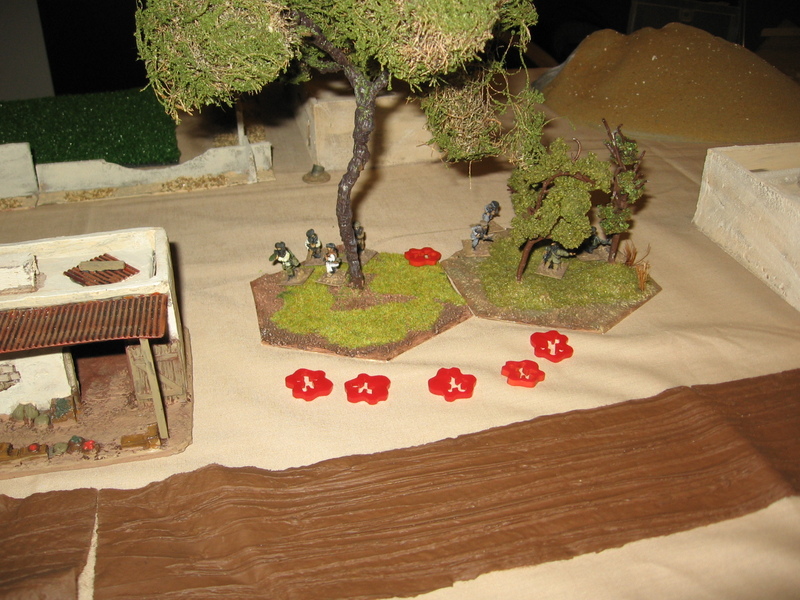 Having plenty in your collection allows yous to ‘theme’ each table, as you might have seen in my previous post I’ve organized my terrain into old fruit boxes based on rough geographic areas. 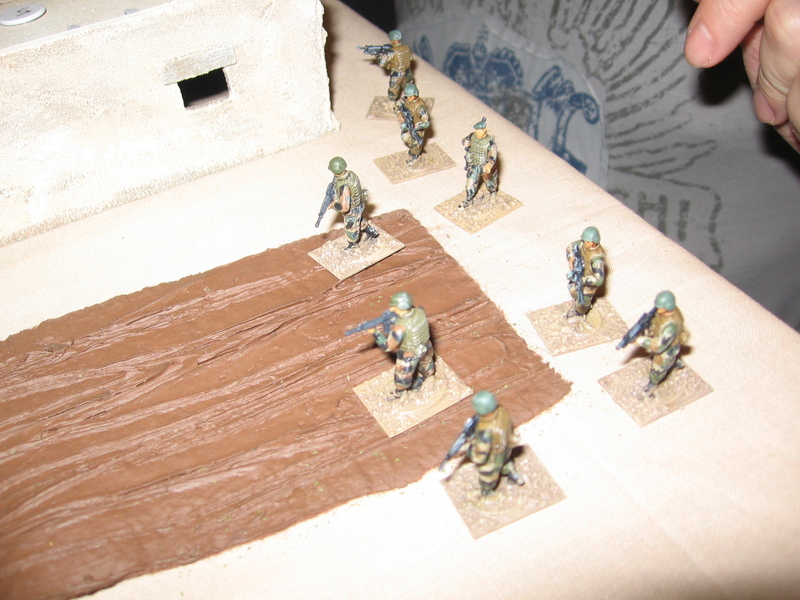 That way I try not to have nominally ‘French’ buildings for the Normandy battles of 1944 masquerading as down town Grozny in 1994; I think it adds a lot to the effect of a Toy Soldier game. 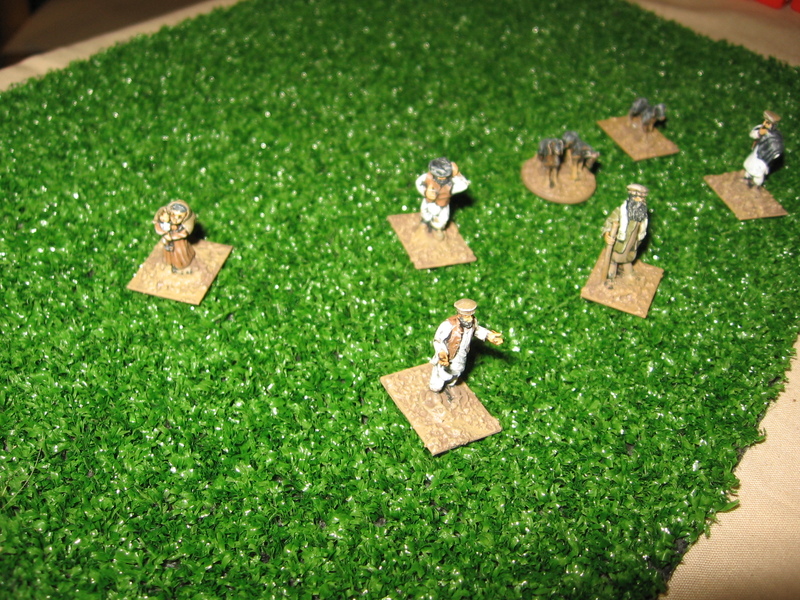 It is something of a luxury I know but I’ve always found terrain building the most enjoyable part of the modelling side of the hobby. 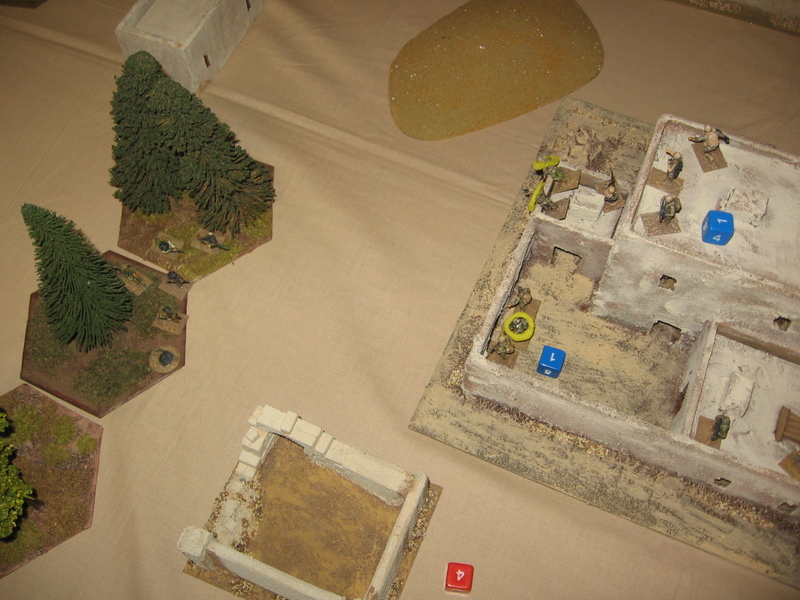 The more terrain you put on the table the better game you’ll have. 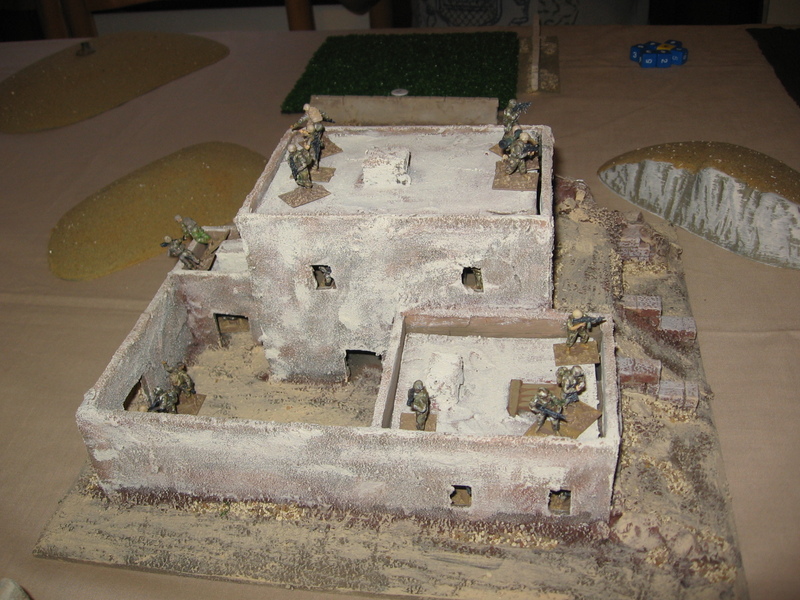 More so in a skirmish game- blocking lines of sight and hindering movement as well as giving cover from fire all the fun stuff that gives you the choices that make a game fun. Anyway enough of the pontificating… on to the pictures. 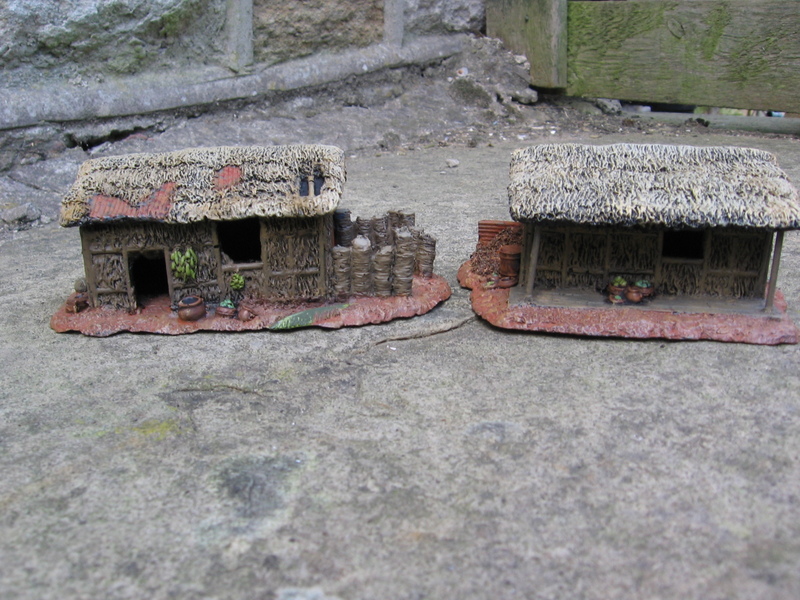 Two Vietnam buildings in resin from Britannia. The same from a higher angle with the roofs removed. 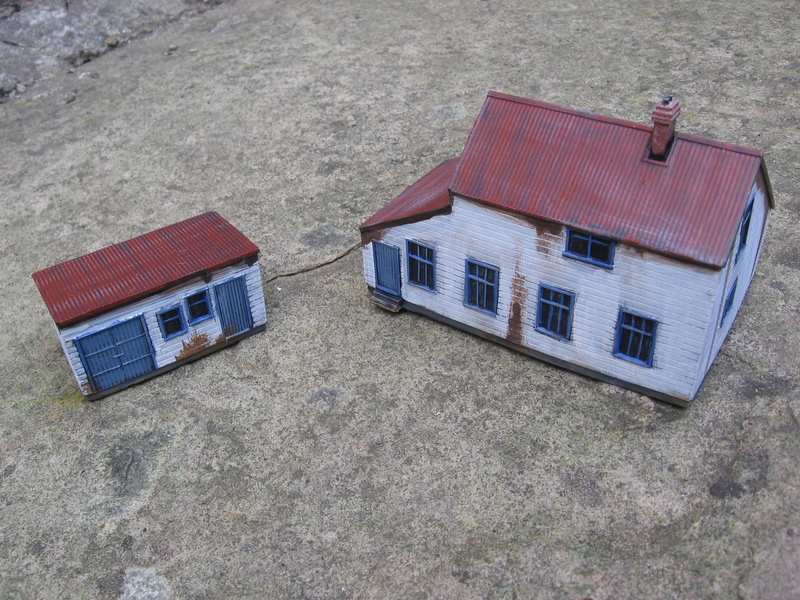 A pair of Falklands buildings from the Timecast range- though sold as 15mm they will work fine with my 20mm collection. 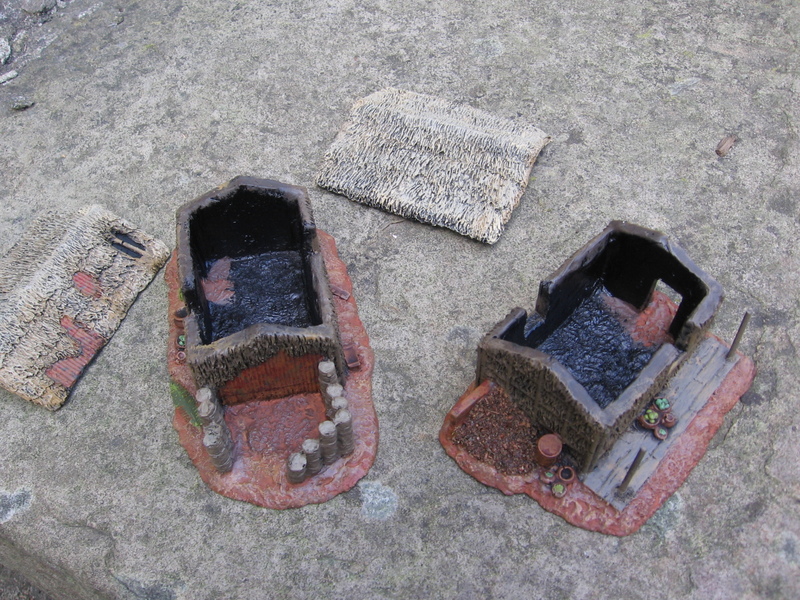 The ‘Top Malo’ house from the same range, surprisingly small, even given the scale difference, more so when you read about the action that was centered on it. 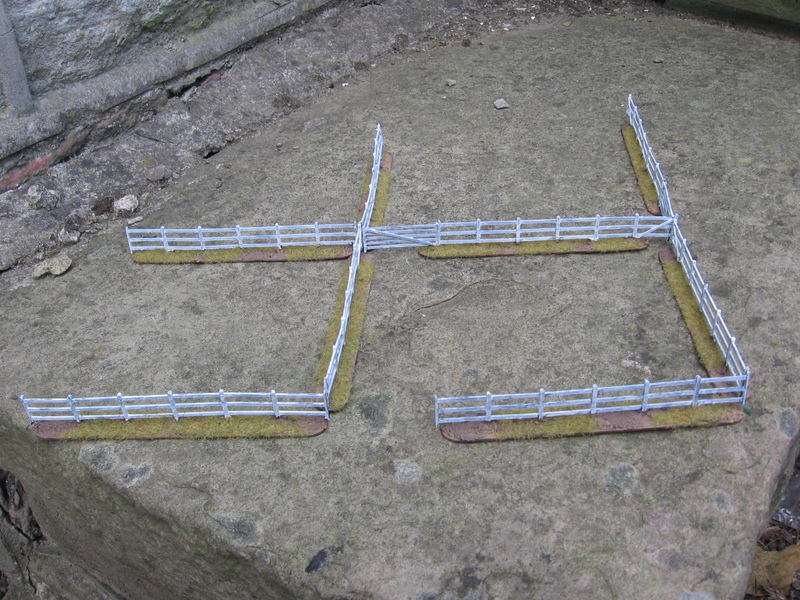 Dapol fences- not particularly exciting but rather useful nonetheless. Game-wise it has been a good week. 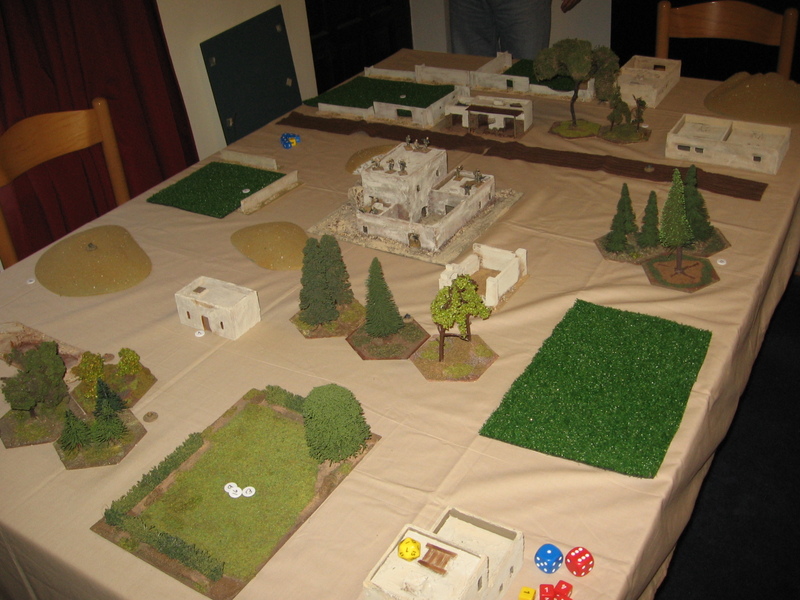 Tuesday I ran through another playtest of my modern rules with Evan (AAR and pics coming tomorrow), Wednesday I popped down to Sheffield to see Tim Gow ( of Megablitz and More fame) and to play a map game of the Indo- Portuguese clash over Goa, Friday saw Brian and I look at the classic board game ‘Druid’. 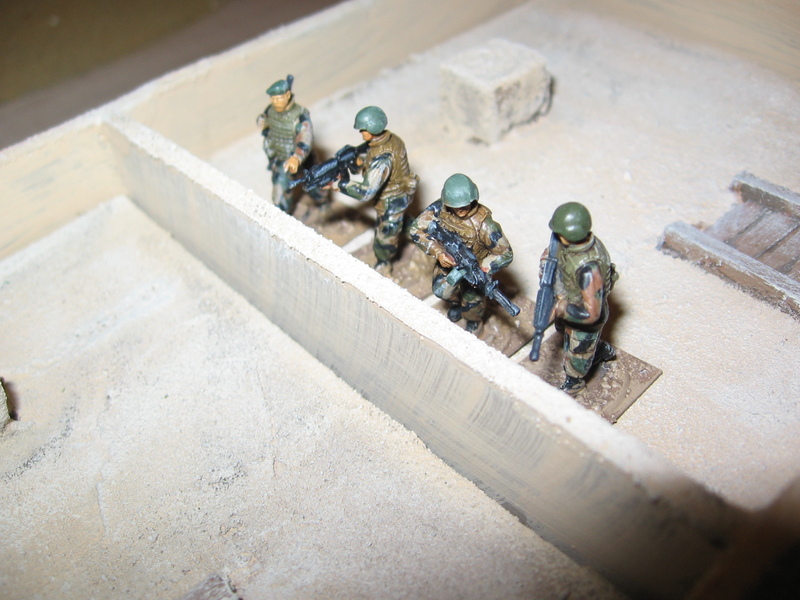 To top off the week an Osprey arrived, the new one on Russian Paramilitary and Security Forces- I’m hoping it will prove useful for when I expand my moderns rules to cover Chechnya. There is a local history society that give regular public talk that are open to everyone. 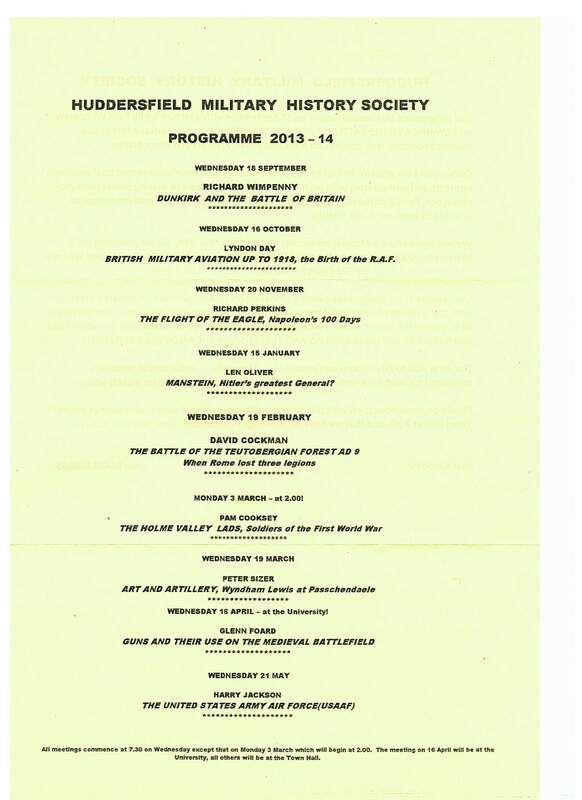 I’ve just received the program for the rest of this year and the first half of next year.